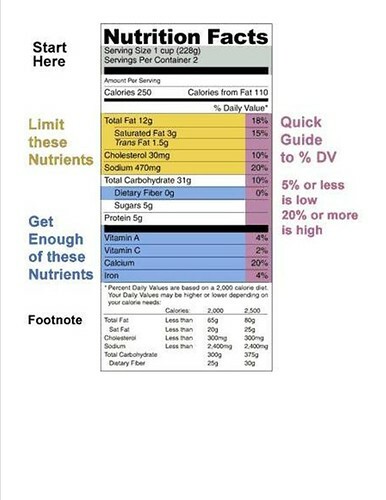 The U.S. Food and Drug Administration (FDA) Nutrition Facts label appears on most packaged foods and informs us how many servings are in a box or can. When consumers understand the food label, they can use nutrition information to make quick, informed food choices that contribute to a healthy diet. By the end of this day I was really starting to suffer from food poisoning. I didn’t get to eat much of my noodles, but what I did have was delicious. 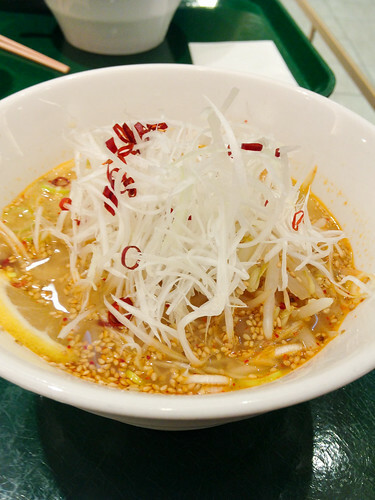 It’s quite hard to find vegetarian food in Japan, and when you do it’s generally sold because eating vegetarian is "healthy", rather than vegetarianism actually being a lifestyle choice. 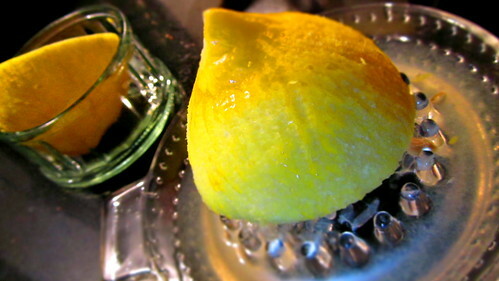 This was used in a recipe which is a low-carb version of tabbouli. 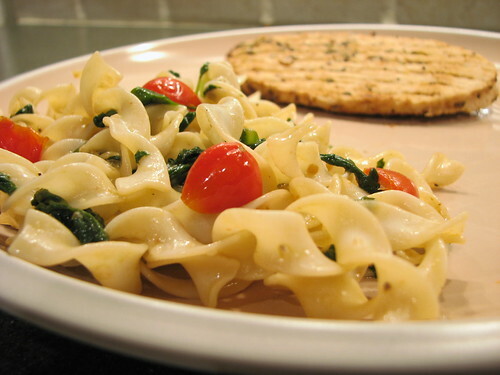 Recipe is posted here. Last week my mom and I went down to my grandma’s house to go through some stuff. I asked my cousin about a few of my grandma’s recipes so I could take a few photos of them. She showed me all of grandma’s recipe boxes, they were filled with cards she’d written recipes on and clippings from magazines. She also showed me my great grandma’s recipe book. 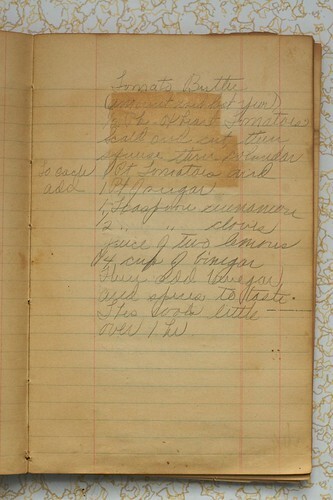 It was a collection of recipes scratched and pasted in to an old Railroad Ledger. It’s so great to see old well-used recipes written by my grandmothers. I’m planning on taking these and making each one, taking photos and making a cookbook of family recipes, including photos of the recipes written by my grandma’s. I think this will make a wonderful Christmas present for family members. 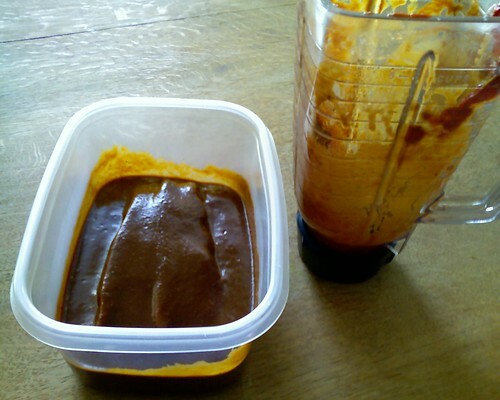 My new personal BBQ sauce recipe from scratch. Neighbors beware! Quantity varies each time for me, and this list is roughly in order of amount used. Anybody can do this, just keep tasting it through the process. I’ve found you actually need quite a bit of liquid smoke. Go easy on the oil, however if you want it to be a smoker sauce (good for making the neighborhood drool), add a little more. My grandfather’s chicken recipe calls for 1 cup of sugar, vinegar AND oil, which is just too much. You actually ‘feel’ the oil the next day; gross. Sugar will aid in charring, but to the average person, they’ll see it as being ‘burnt to a crisp’ (I happen to love this). Sugar amounts listed below are high. If you don’t have a hot grill, or don’t like charring, you should lower the sugar amounts or you’ll end up with way too much sweetness. Evaluation: Not as good as a good Chinese restaurant’s, but better than cheap/buffet versions with that ubiquitous orange sauce. Deep frying in a broad skillet on an electric stove was not pleasant, but it produced the desired results. Frying in batches of ~10 cubes of pork for 3 and a half minutes apiece and waiting a couple minutes between batches produced a consistent, golden brown, tender chunk. I used medium-high heat (7 on the dial) and let the oil heat for about 15 minutes before starting to fry. I kept the fried chunks warm on a baking sheet in a 200 degree oven while frying the other batches. 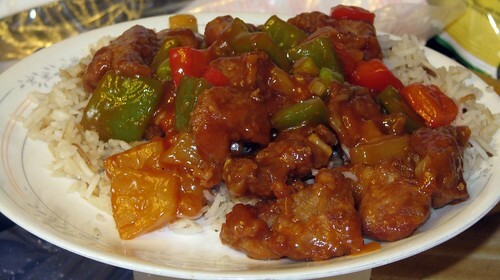 I multiplied this recipe by 4 to use the meat I had, and found that the sauce tasted too much like soy sauce. There may also have been too much corn starch in the sauce. There was definitely WAY too much batter left when I was done, so if you’re multiplying the recipe, make half what you would otherwise.